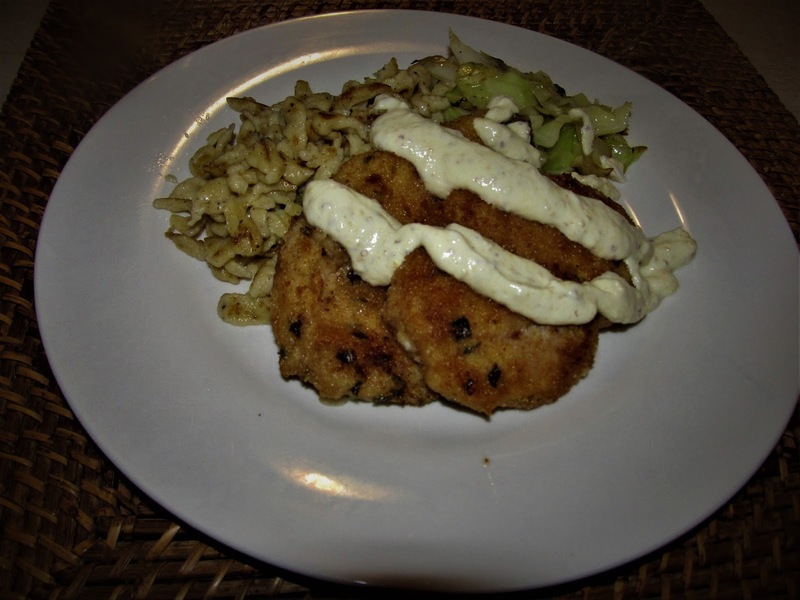 We made Chicken Schnitzel to go along with our Spaetzle, Yum is the word that describes this dish especially topped with our Mustard Cream Sauce. 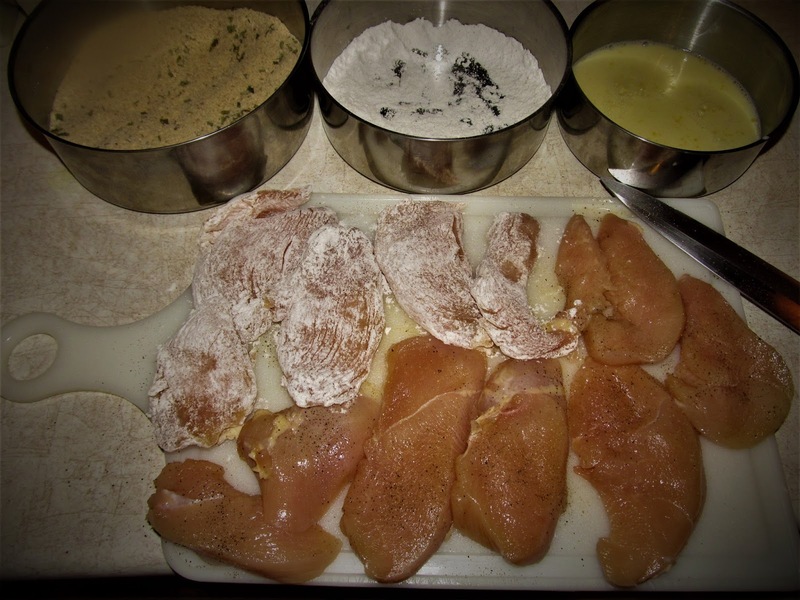 Hint, when we get our chicken breasts, we usually have to cut each piece in half. (Stay tuned to my “Living On a Budget” post). 1) In large frying pan, add oil. 2) You will need 3 separate small bowls. 3) In one bowl add egg and milk. 5) In the third bowl, add breadcrumbs. 6) Place one chicken slice into the egg mixture. then the flour, then the bread crumbs. 7) Do the above til all slices are ready to be fried. 8) Fry til no longer pink. 1) In a small sauce pan, stir in all ingredients gently and heat gently, do mot boil. For a great side, we did saute’d Cabbage. This really was a great treat for us. I know if you were t otry this, you would love it too. That makes me hungry! I will give it a try! Thanks for posting. Sound great! Just one question – how much chicken? I’m assuming it’s boneless breasts. 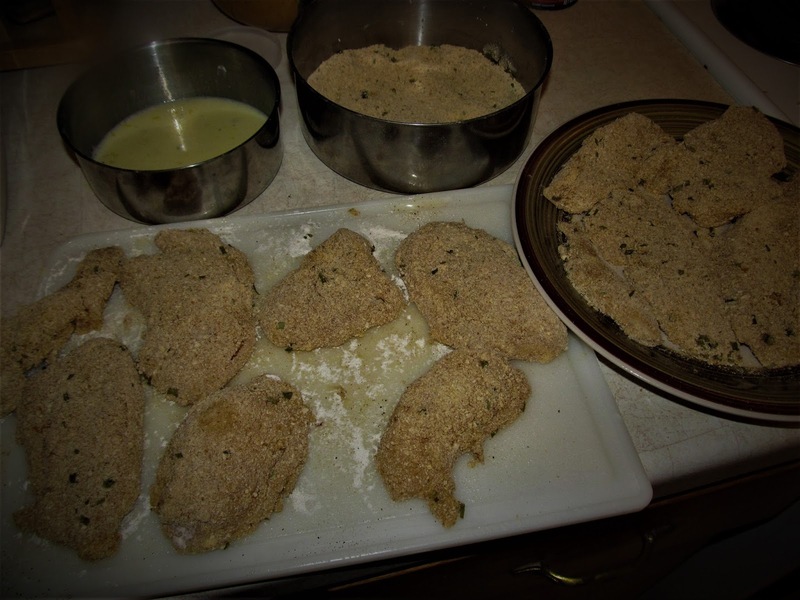 Chicken Schnitzel! Yum.Yum! Keep up the posting! I love Schnitzel!!! Thank you!